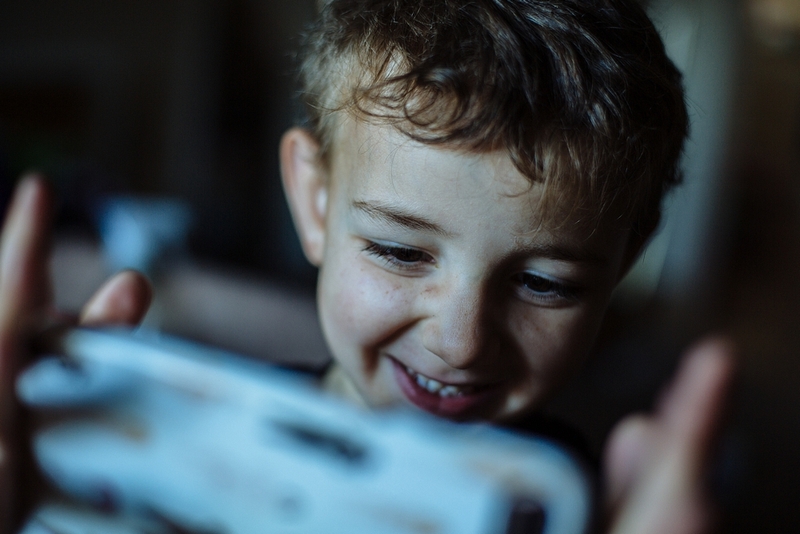 Five year old kids have the most amazing interests, and I love spending time helping Dil to pursue all the topics he currently has a passion for. Being led by him means that lately we’ve both learnt masses of information about subjects like dinosaurs, farming machinery, flamingos and animal poo. Watching him expand his knowledge about topics that genuinely interest him is amazing, and way more fun that forcing him to learn about stuff he doesn’t really care about just yet. The way I view it he’s got his whole life to get to grips with algebra and adjectives, so for now we are solely focusing on developing a passion for learning itself. His latest point of interest is Earth, Space, and the Solar System. 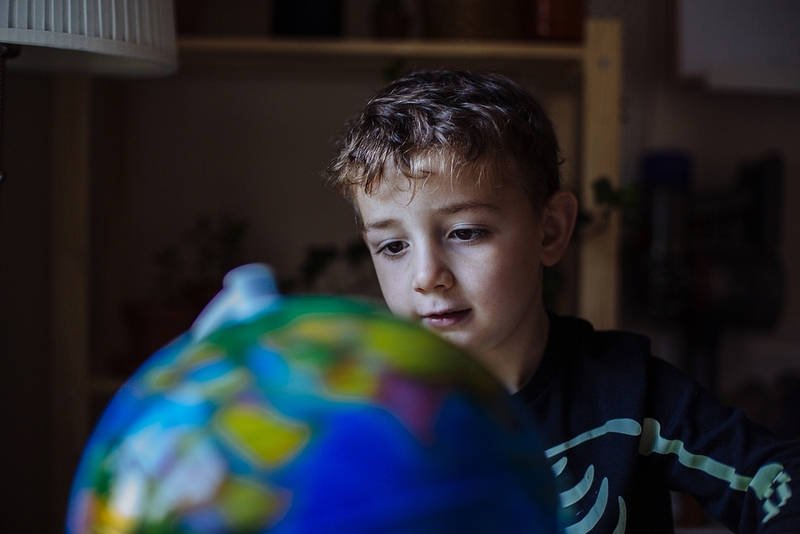 For his birthday later this month he’s asked for a telescope to help him see Mars, and we regularly spend the afternoon discussing how the Earth orbits around the sun. So when the opportunity came up to review the Smart Globe Myth from Oregon Scientific I knew it would be really perfect for us. 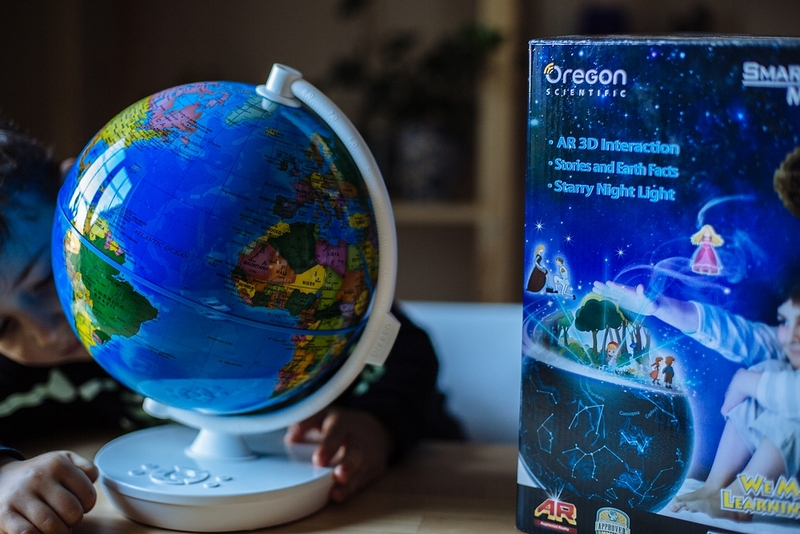 The Oregon Scientific Smart Globe Myth (aimed at ages 5+) is described as a 2 in 1 globe, because it can be used in two modes – day and night. 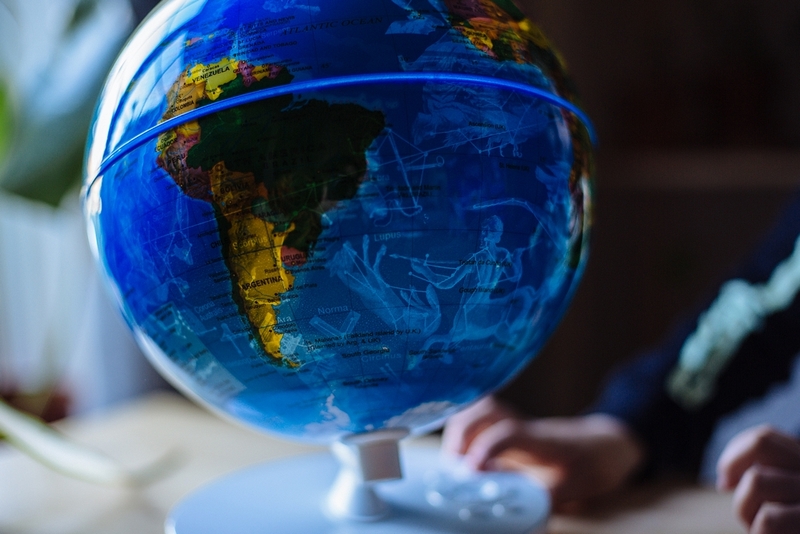 In day mode the globe acts as a normal globe would, and Dil has really enjoyed spotting different countries, seeing how they all compare in size and how far from us different countries might be. It’s a nice globe, and a good size for a little one to sit with as they investigate while still fitting nicely on our book shelf. The night mode is really when this globe comes to life. With the press of a button the globe illuminates, showing a perfect map of the planets and stars, illustrating 88 constellations beautifully. Seeing them this way really gives you a sense of them in their full glory and evokes a lot of “wow”s from everyone we show. The glow has a really calming affect, and I’ve seen people using this as some kind of night light for their little ones. 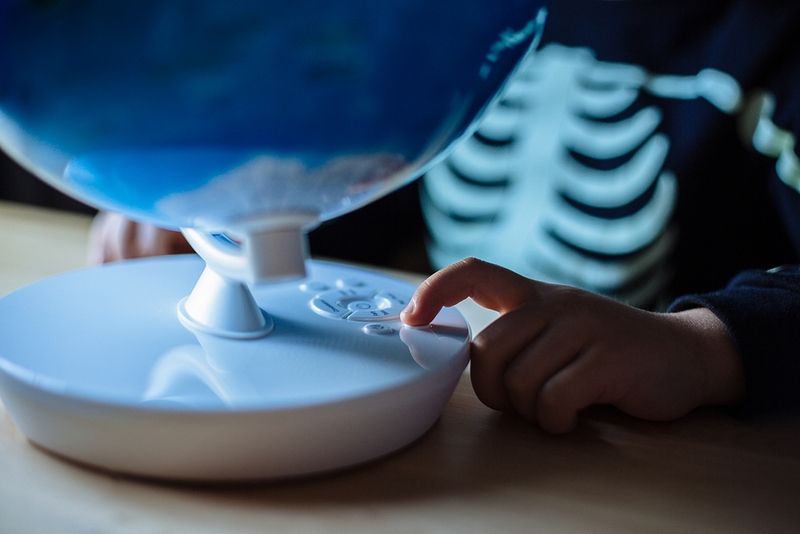 It means it’s the ideal toy for these darker evenings, and we’ve spent many early evenings before bed gathered around the globe exploring the patterns in the stars. It really is so pretty and so engaging, especially for any little ones who already have an interest in space. I always mention this, but I really don’t like toys that need lots of putting together, or need some obscure sized battery before you can play with them, because when something arrives Dil inevitably wants to play with it as soon as it comes out of the box. 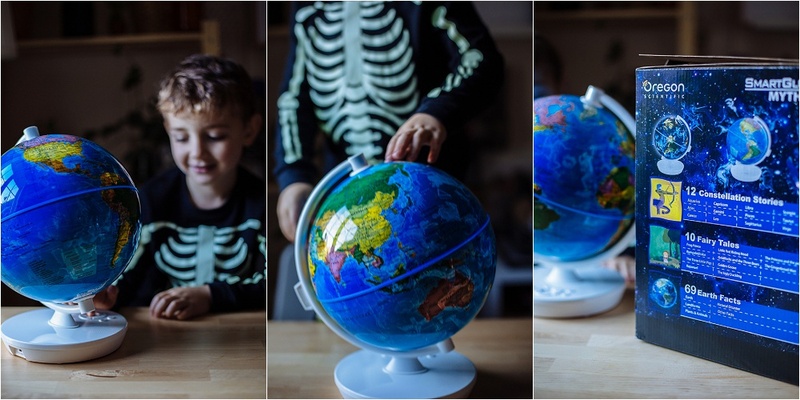 The Smart Globe Myth comes with demo batteries installed, meaning Dil got to play with it straight away while I found some new batteries – winner! It’s powered by 3 AAs, and can also be plugged in to mains power (it comes with a USB cable only so you will need your own plug). 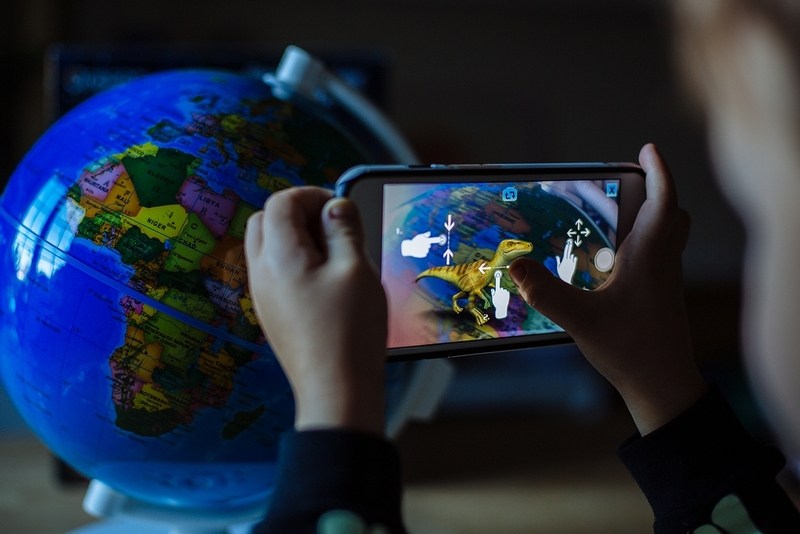 As well as being visually engaging the Smart Globe Myth also offers an audio function, and there are a number of different facts, fairy tales and zodiac stories which the globe can play. 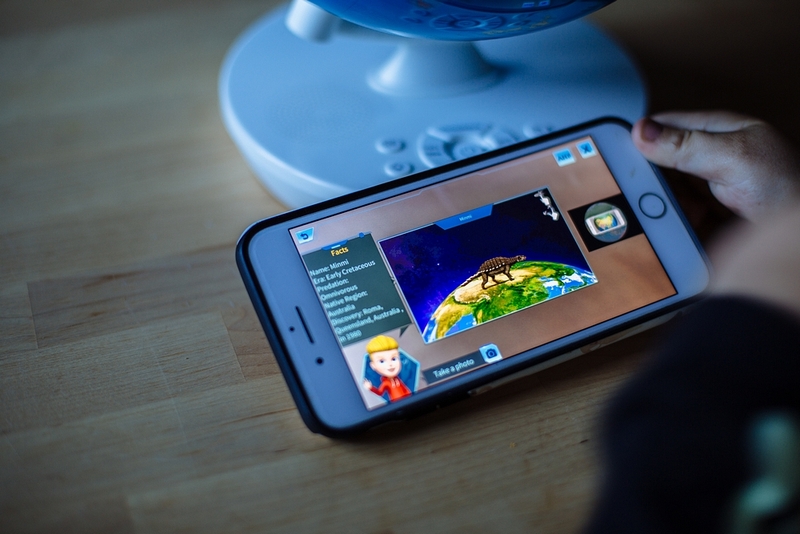 You can easily select and scroll through these using the arrow buttons on the base of the globe – Dil managed to select and play the ones he wanted easily so it’s very user friendly for kids. 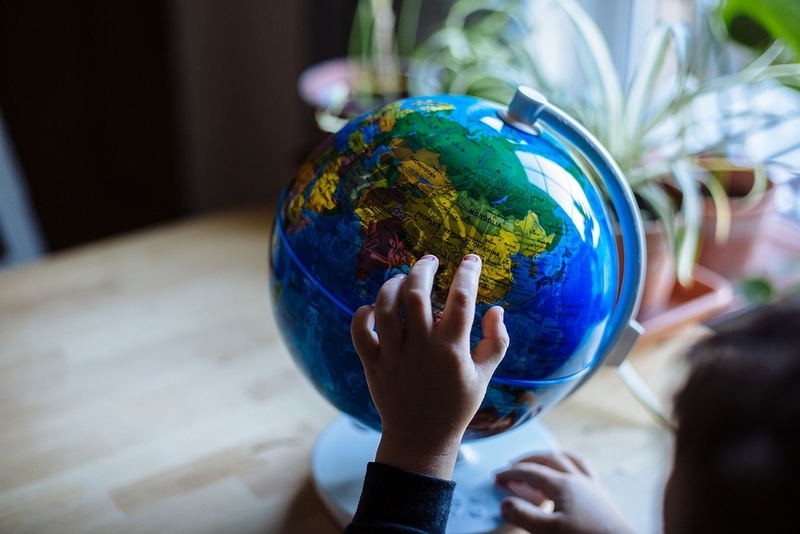 He loves listening to the Earth facts, and has really enjoyed letting other people know what he’s learnt – did you know that the Earth is actually shaped a bit like a pumpkin?! The globe comes loaded with 10 classic fairy tales, which are read to you in a polite american female voice. There’s also a pause button in case you need it. The zodiac stories are really interesting too – when I was younger I was fascinated by Greek mythology so I actually love listening to these tales possibly more than Dil does. I think this function might be something he enjoys more as he gets a little older. Something else that the Myth offers, and most definitely Dilan’s favourite bit, is the augmented reality (AR) function. 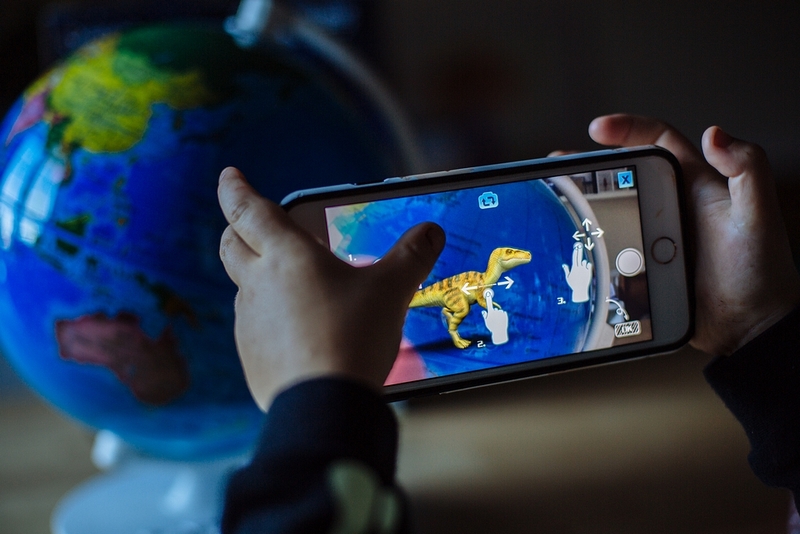 By using an app (available on Apple and android) Dil is able to search the globe, discovering where different dinosaurs may have lived, where different animals originate from or where famous landmarks are located. 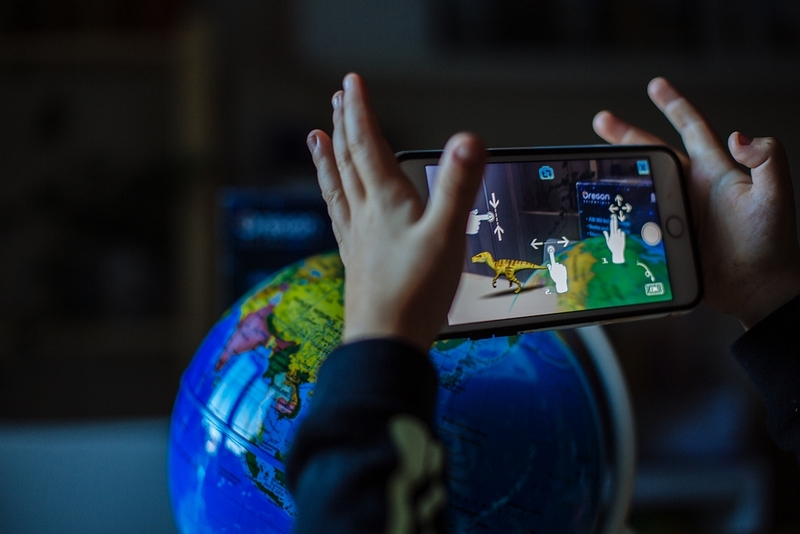 The AR quite literally brings these things to life, and Dil was giggling his head off as he watched his new dinosaur pal walking across the globe and onto his finger. 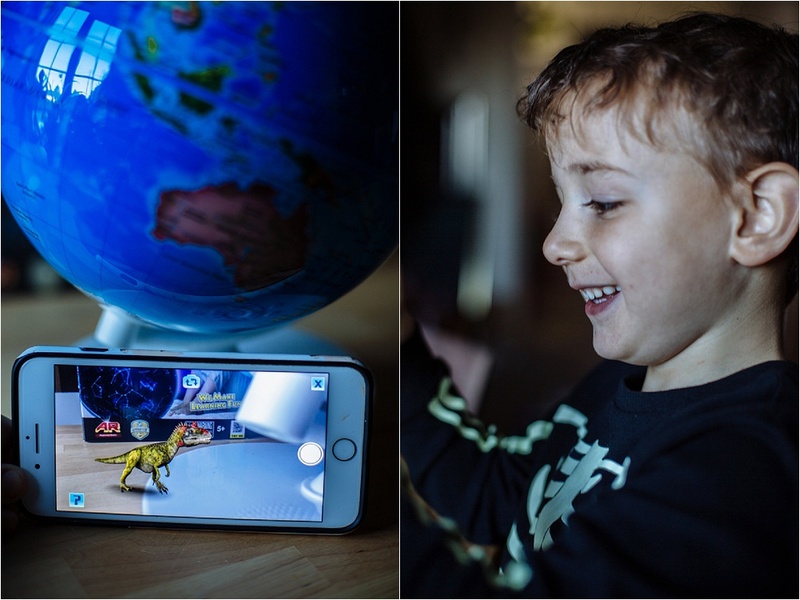 The app is a little tricky to use, and I couldn’t get all of the AR modes to work (there is a planet mode and a food mode which we wanted to try but couldn’t), but after some practice Dil was able to use the dinosaur augmented reality (his favourite one) on his own. I hope that with a little more development the AR will work more reliably, because it really is a bit of magic. 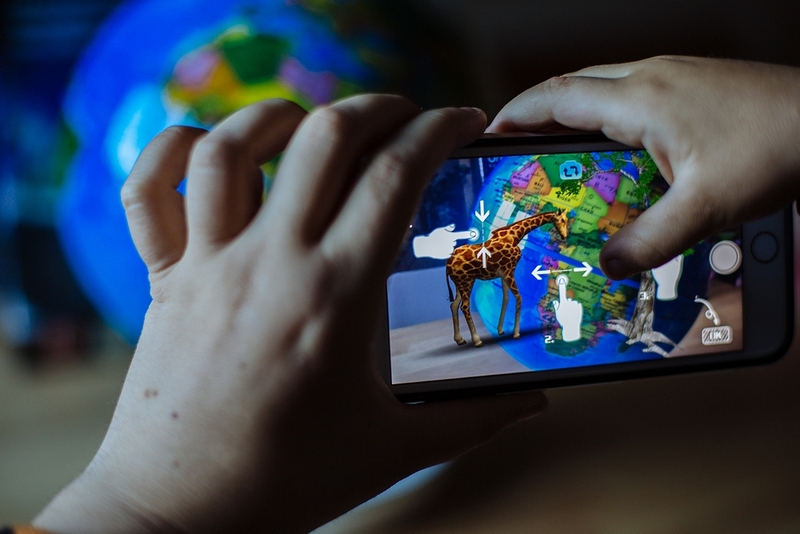 The app also offers more information about the animals and landmarks, plus some quizzes too which I think we will make more use of as time goes on – currently Dil is still too busy having fun with the AR. Overall I do really like this toy, and I think it’s something Dil will continue to get lots of joy out of for a long time. I was slightly disappointed by the limitations of the AR function, but Dil still has been having plenty of fun with it and I hope it’s something that they can improve on. 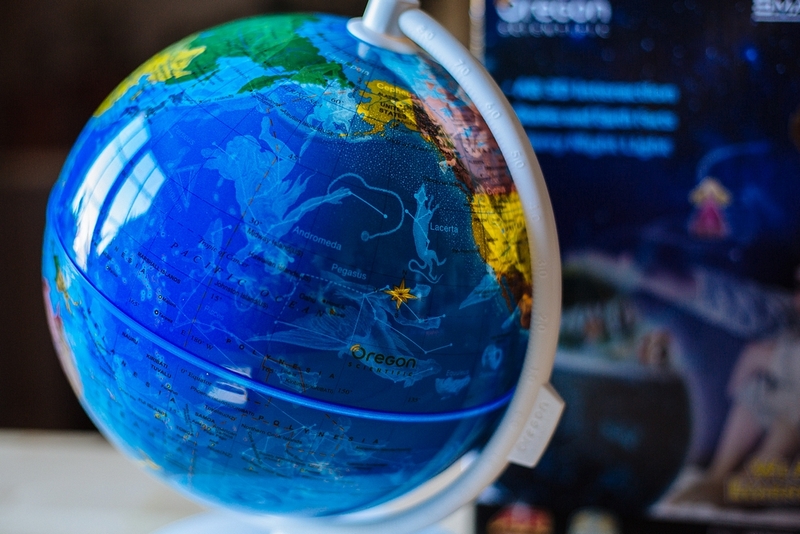 Considering how much Dil will learn from this globe, and how many different ways there are to use/play with it, I was really surprised by it’s price point which is £39.99. I think for that price it’s a bargain, and a brilliant present for a little one with a passion for Earth and Space or geography.